Maximillian Soares Miehlstein has a unique and unconventional story to tell. He is the first dual-credit student to graduate from Kapiʻolani Community College. While still in high school, he took both high school and college classes, enabling him to graduate from high school and college at the same time. At Kapiʻolani CC’s spring 2018 commencement, where he earned an associate in arts degree in deaf studies and deaf education, the 17-year-old Miehlstein delivered a speech to graduates in American Sign Language. In doing so, he celebrated the deaf community that has supported him over the years. Miehlstein was exposed to deafness and disability since birth. His father is a quadriplegic, and his mother provided infinite guidance and understanding. From his father, Miehlstein learned that a disability does not have to be disabling; in fact, it can be empowering. Miehlstein was homeschooled until the latter half of his middle school years, when he began attending La Pietra School for Girls, then transferred to Assets High School. He changed his name and clothes, and began to live as Max. At 15, Miehlstein felt bored and realized he needed to be challenged. He considered Kapiʻolani CC because of the smaller class size and campus community. 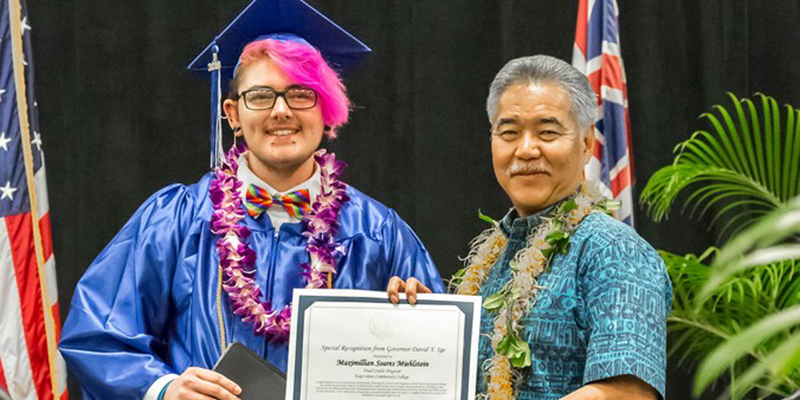 Because of his age, he could not obtain a GED or drop out of school, so his mother found Running Start—a dual-credit program at Kaimukī High School that would allow Max to be registered in high school while taking classes at Kapiʻolani CC. 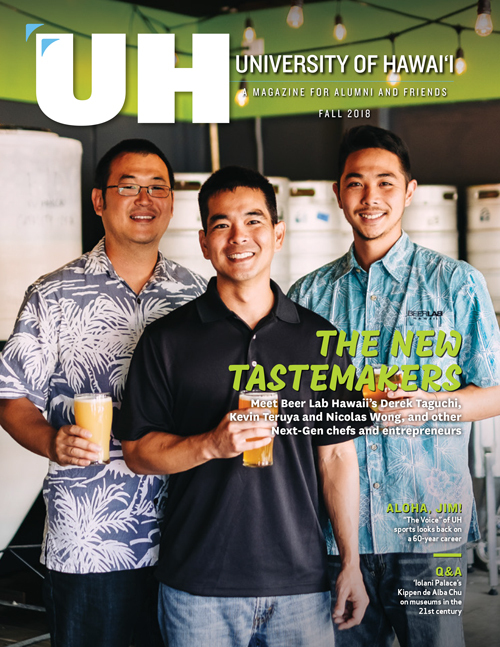 Miehlstein thrived at Kapiʻolani CC—he got a job at the Library for the Blind and Physically Handicapped, and his academic load was a perfect fit. His first semester, he had what he calls an “easy” four classes. He then took six classes the next two semesters and finished his last semester with seven classes, graduating with honors. He continues to work at the library and volunteers at the Hawaiʻi School for the Deaf and Blind. This fall, he is transferring to the University of Hawaiʻi at Mānoa, where he was awarded a Presidential Scholarship and accepted into the Honors Program. For his interdisciplinary degree, he will focus on disability studies with a psychology and sociology background. Miehlstein looks forward to working with people with who have disabilities and neurological differences.